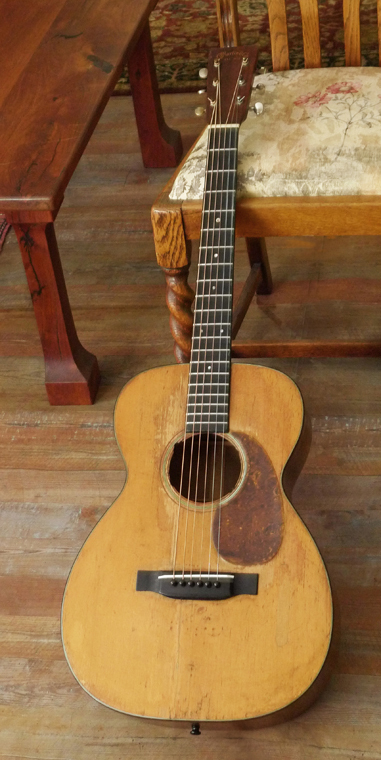 A rare, 100% original pre-war Martin. Not a crack anywhere. And though it of course has the 1-11/16 inch nut, it plays remarkably like the wider nut mid-30’s 000-18’s due to the generous (original) string spacing at the nut. Original finish. Neck has never been re-set. 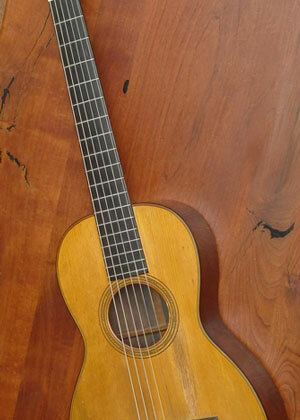 Original Ebony nut, ivory saddle, full height original bridge. Original tuners. Original plastic tuner buttons in great condition (no shrinkage). Lack of tuner ferrels of course (because of war-time metal shortages). 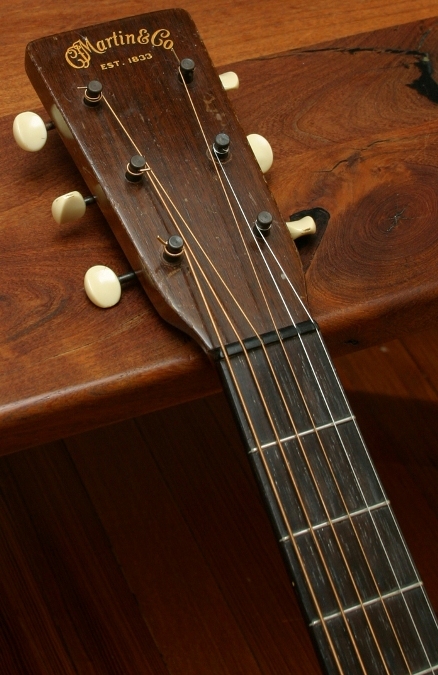 Brazilian rosewood bridge, fingerboard, and peghead veneer. Scalloped braces. Original bridge plate. 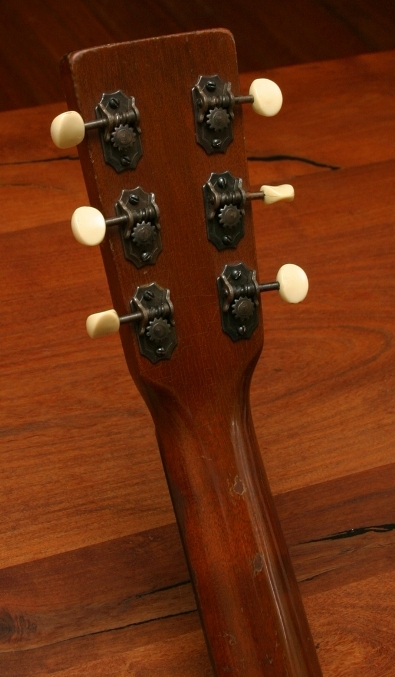 Frets show minor/normal wear. 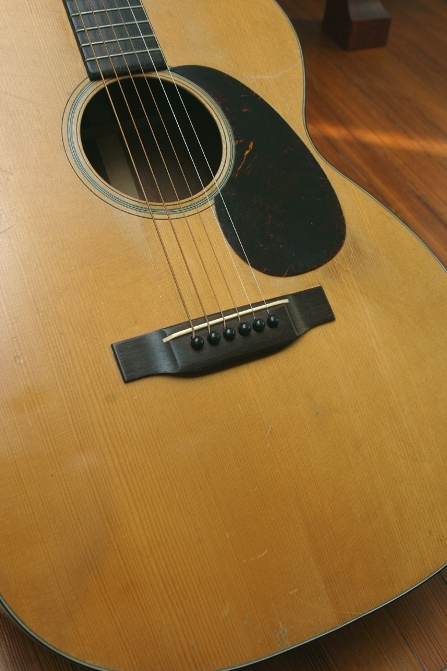 It shows light/normal pick wear around the soundhole (nothing anywhere near down to bare wood). Other minor superficial scratches on back, and sides. 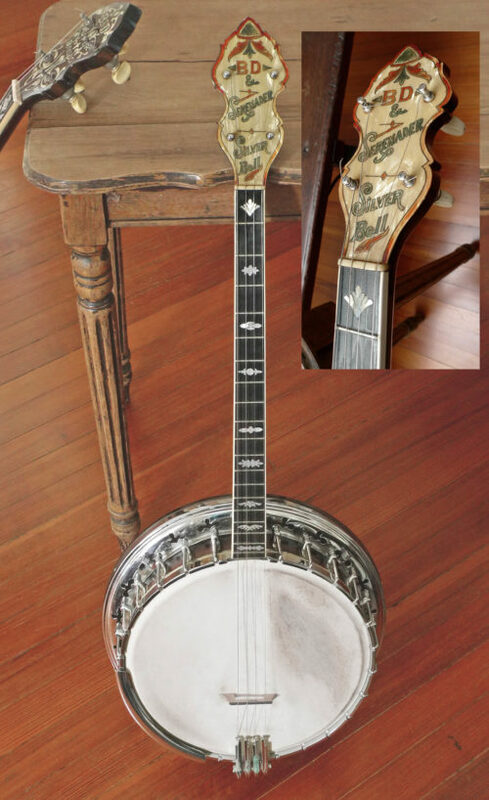 Bass tone and volume is impressive-the characteristic of war-time “pre-war” Martins, that featured more deeply scalloped braces. Many believe these more deeply scalloped braces found only in these years give them better tone than the mid-30s Martins. 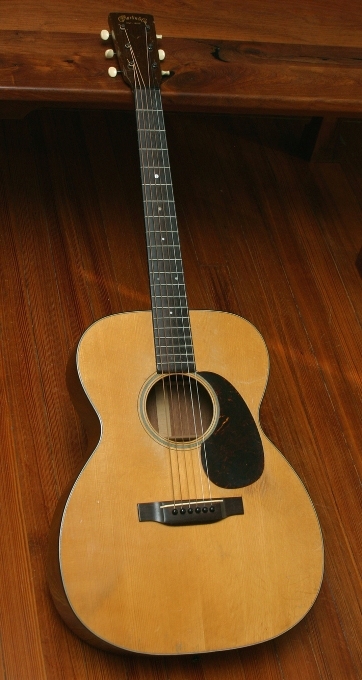 The tone: gold standard pre-war 000-18. Loud, dark, crisp, and clear.